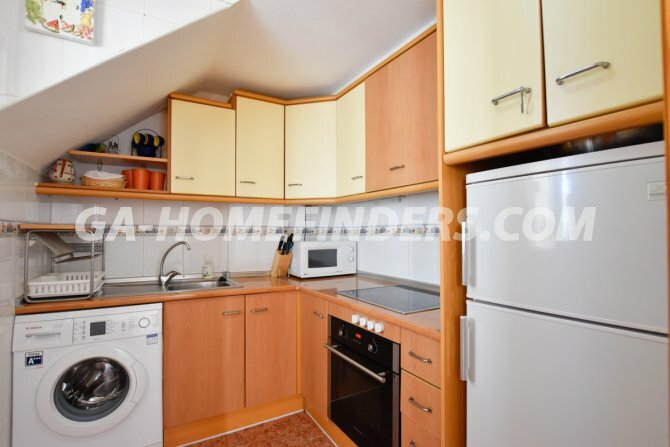 Corner top floor apartment with 3 bedrooms and 2 bathrooms. 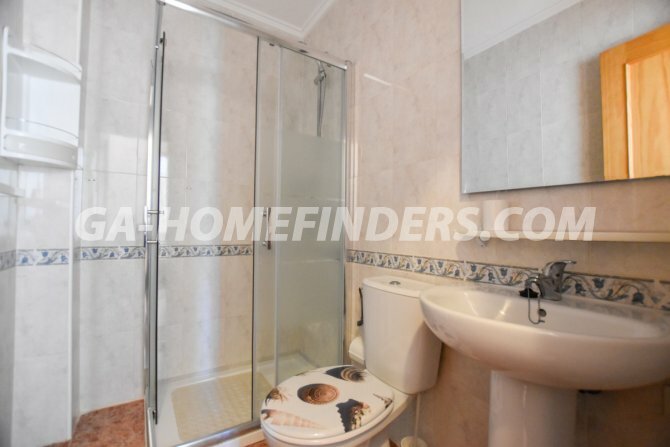 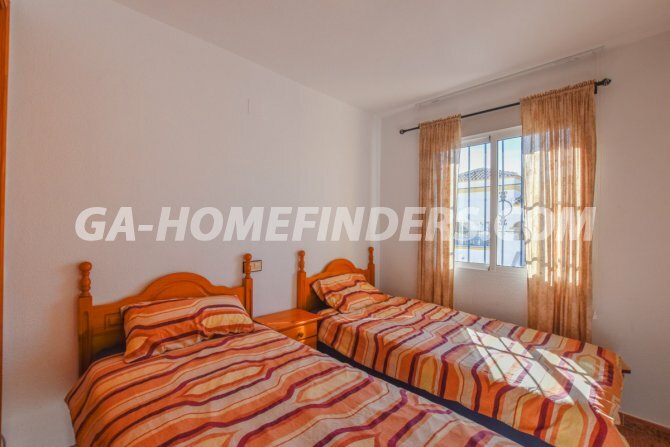 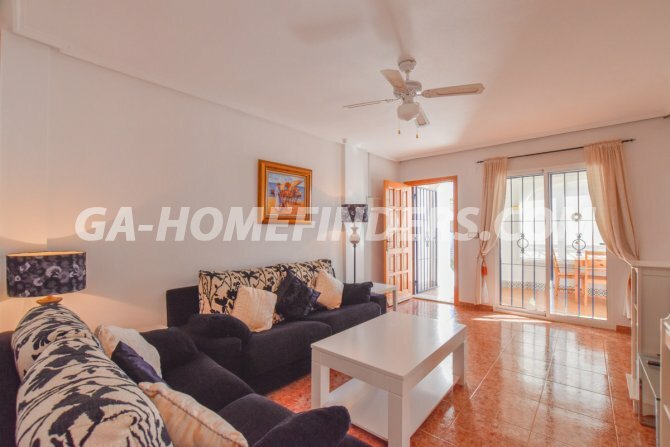 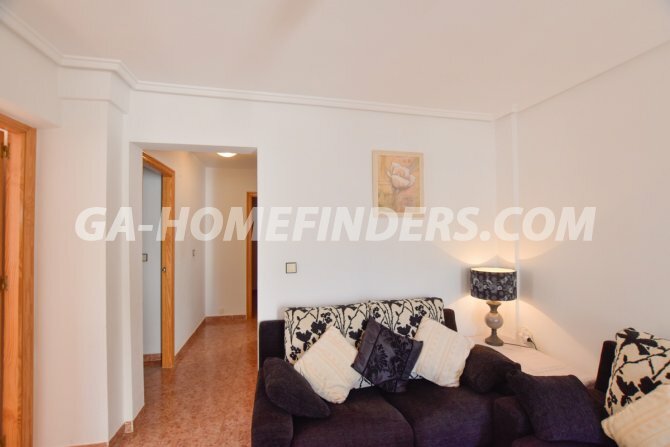 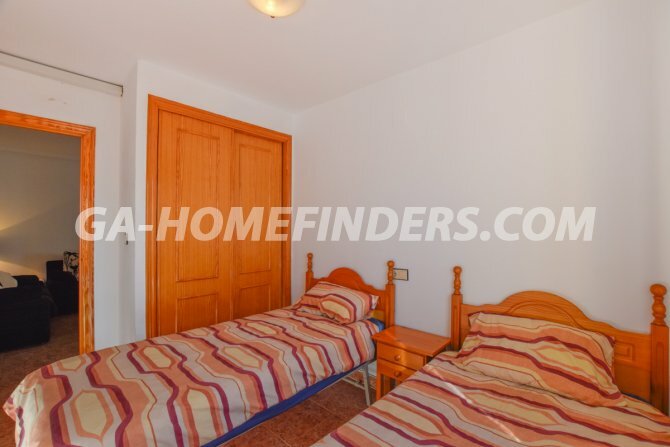 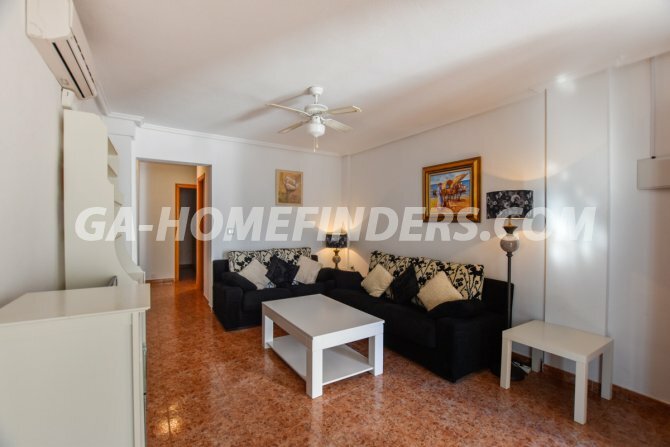 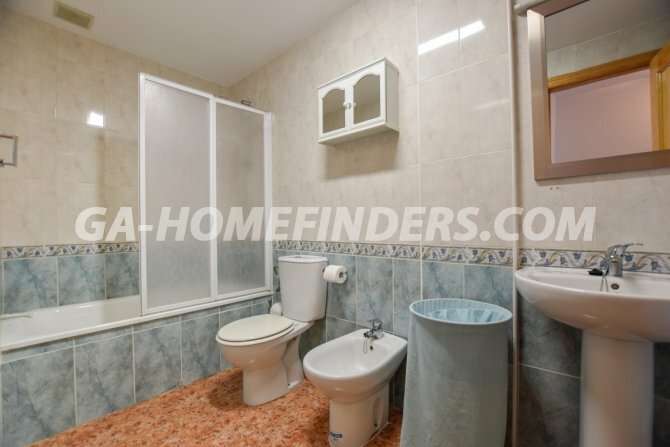 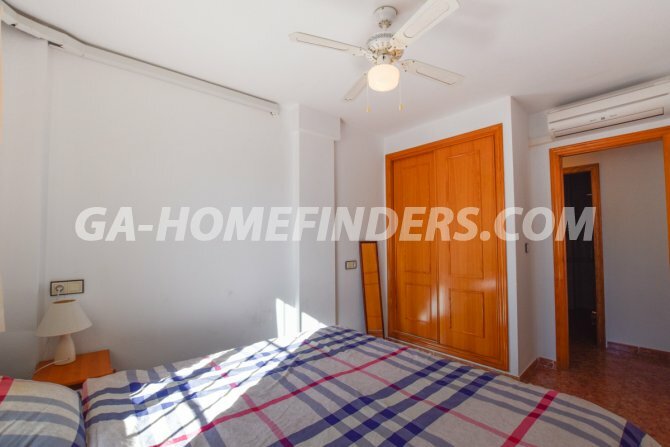 It is furnished, has a large living room and an independent kitchen in very good condition with all the appliances. 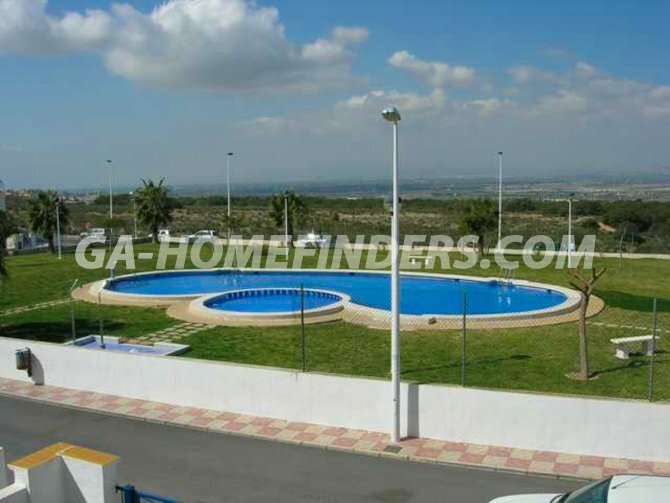 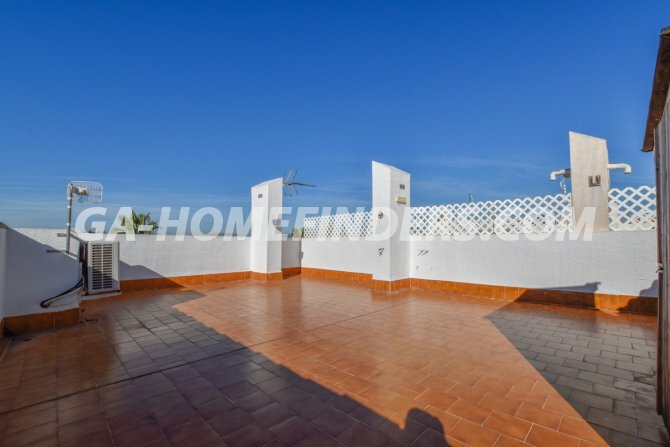 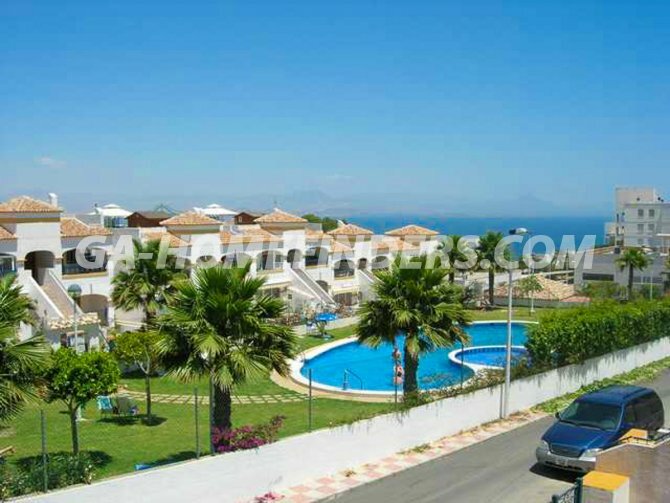 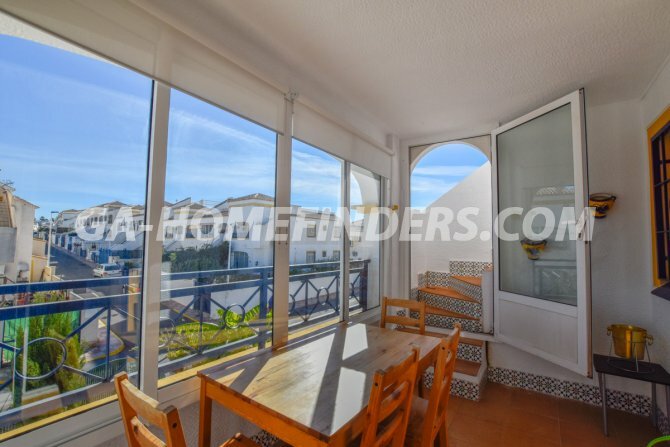 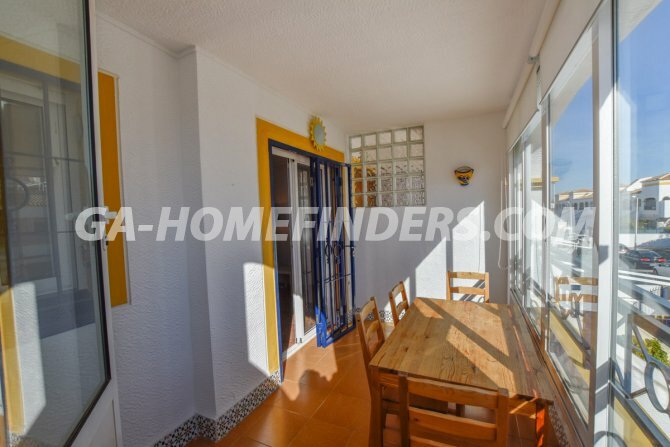 It has a glazed porch and a spacious solarium with wonderful views of the mountains and Alicante. 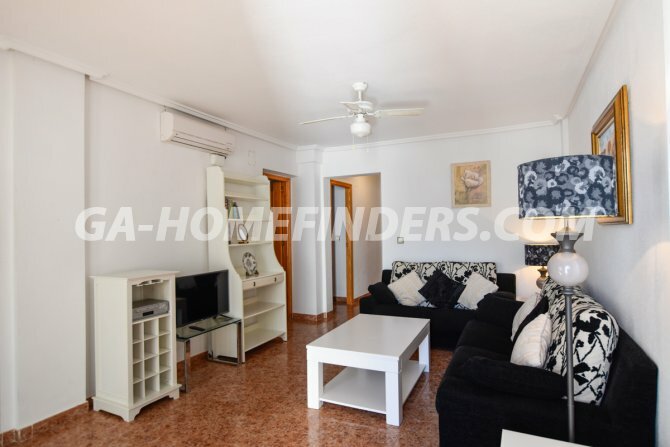 There is air conditioning in every room of the apartment. 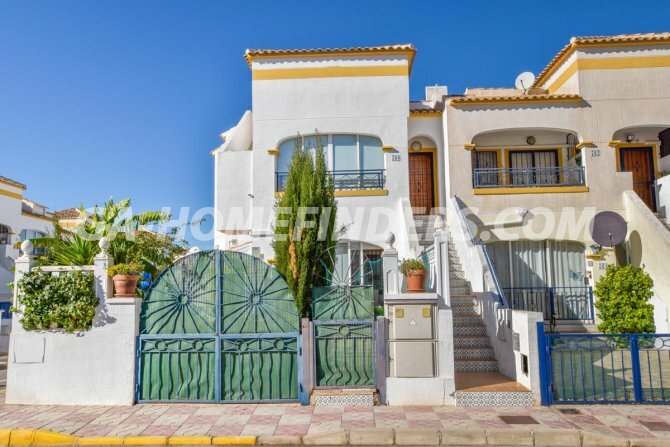 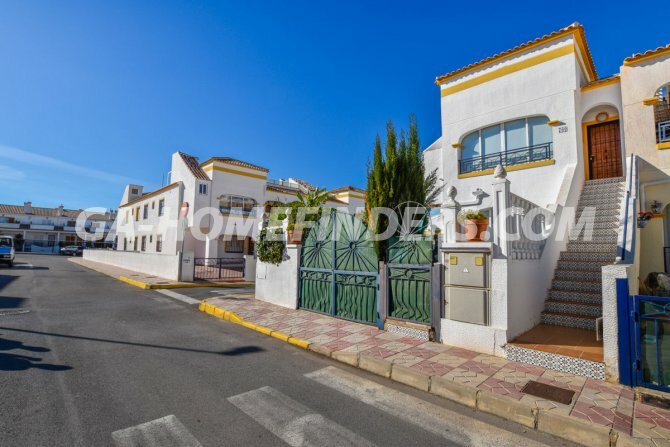 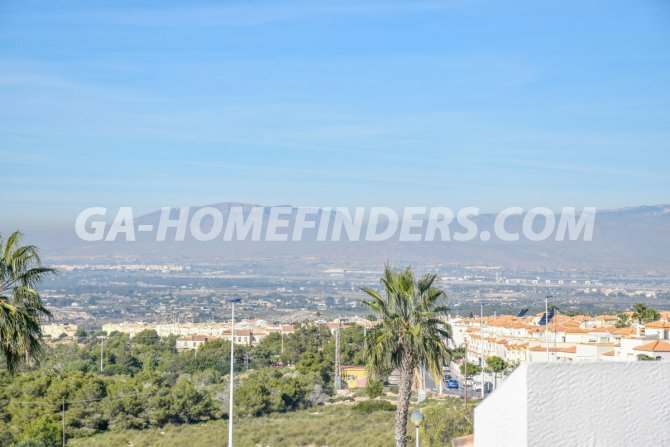 It is located in the upper part of Gran Alacant in a gated community with three community pools that have large green areas. 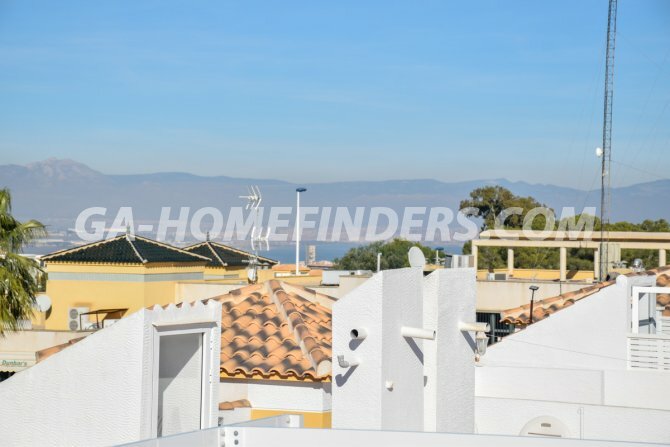 It is just a couple of minutes walk from a range of restaurants, bars, a supermarket, shops and public transport. 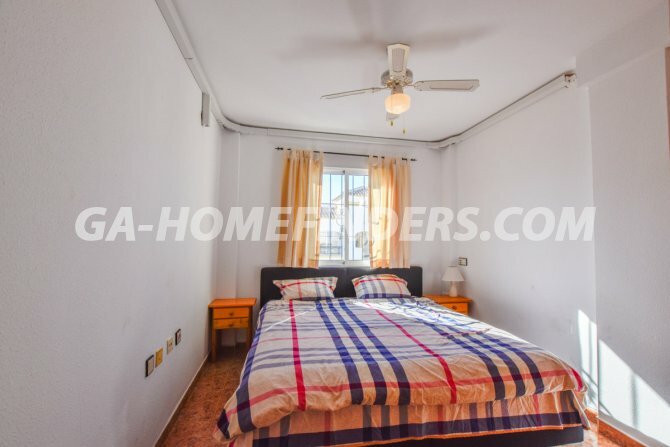 It's near to the Thursday morning market and Carabasi beach is less than 5 mins by car.